A party favorite! 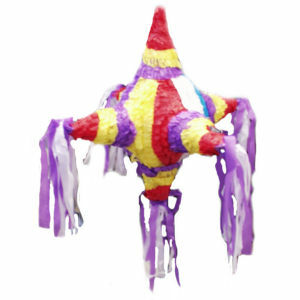 Stores that display our festive "Star" pinata together with bulk candies will see a rise in sales and profits. Every kid loves pinatas, both for entertainment, and for the candy surprises contained within! Not only is this a party favorite, it also livens up any type of decoration or display.